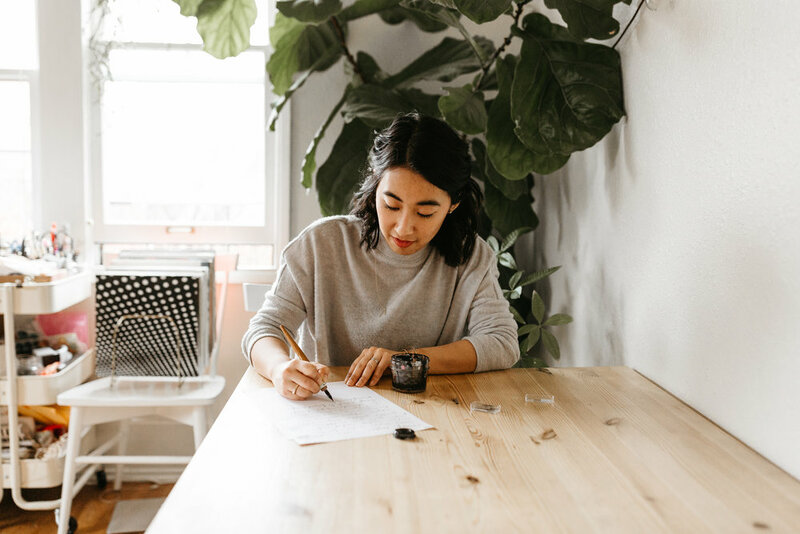 everglow handmade is a small creative studio run by rachel larsen in portland, ore. that focuses on calligraphy & design. i believe that every day & every moment is sacred and should be celebrated, whether it's the everyday mundane or the once-in-a-lifetime moments. i design goods that encourage this celebration & make it easy for you to focus on enjoying life to the fullest. i have a keen eye for detail & this shows in all of my work. i studied accounting in college and worked for a local tax firm where i got my cpa. so yes, i am a sucker for details & checking everything three times. i just got a little tired of filling out forms and watching everyone else have all the fun, so after doing calligraphy on the side ever since college, i finally took the leap and here i am. thanks for stopping by! i can't wait to work with you. everything else is credited or by me.